Research shows that the majority of projects spend more time and money than estimated, and many also fail to meet customer needs accurately too. This means delivering poor customer value, and low confidence in project success. In this article we’ll look at these two ways to manage projects and a hybrid model that combines the best of both. Requirements that are set up-front – making planning more straightforward, reducing flexibility. A clear, formal roadmap for the entire project – increasing control and allowing methodical record keeping and documentation. 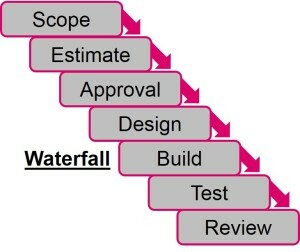 Making Waterfall projects susceptible to expensive time, cost, and quality scope creep. Stakeholder buy-in – they know what to expect as the project develops, however they are not involved throughout the process and often change their requirement. Academic foundation – PMI certified. Continually evolving – reprioritisation is easier through multiple short-term plans that allow for interim changes, although time and effort is continually required by the project team. Delivered in ‘chunks’ – challenges being identified sooner, lessening the risk of building the entire requirement only to find costly and time-consuming faults. Increasing the value you add and stakeholder engagement – stakeholders should be more involved. 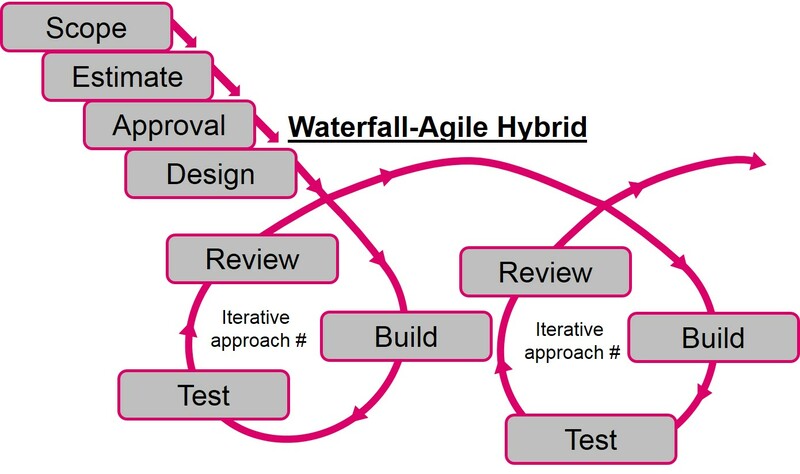 Often referred to as ‘Agifall’, combining the best of Agile into a Waterfall process with the objective to maximise time, control cost and improve quality. This solution is common in global organisations. 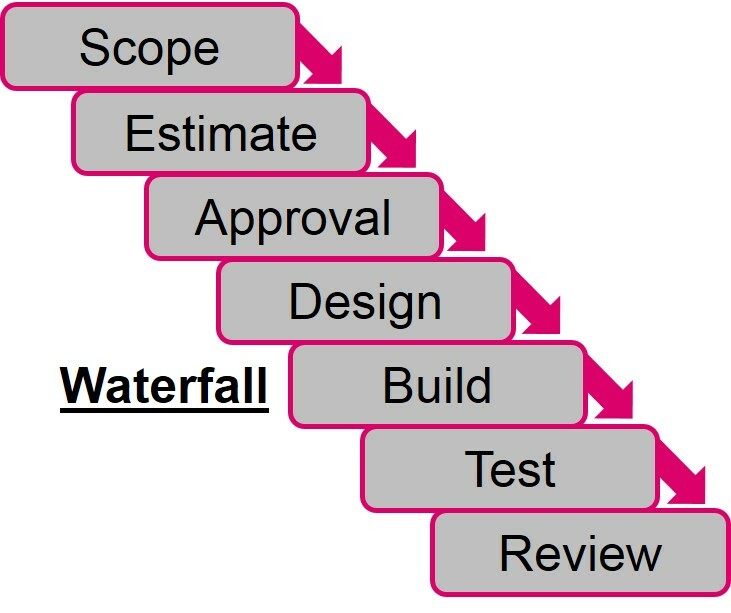 Your project teams need to define the initial requirements and plan using Waterfall, breaking them down and prioritising them into phases that are built in parallel using Agile principles. Clarity by retaining the development, tracking and monitoring of Waterfall. 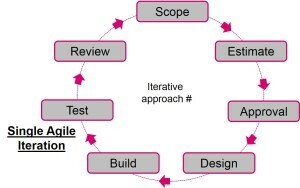 Adaptability and flexibility – Using Agile to act on continuous feedback and changing requirements. This combination is really useful to teams when they are dealing with projects that have constantly changing requirements. Improved collaboration – enabling teams to choose the methods they prefer, to ensure they define initial and change requirements easily. 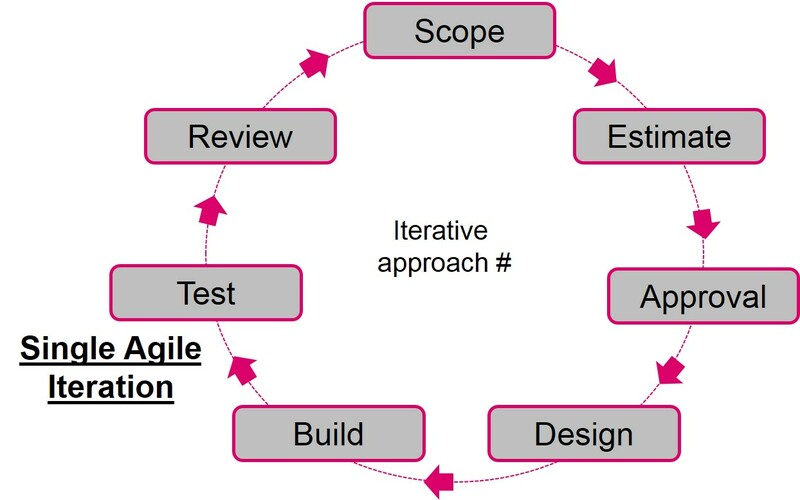 This entry was posted in Project and Programme Management, Project Management and tagged Agile Project Management, Lean Project Management, Managing Projects, Practical Projects, Project Management, Project Management Survival Guide, Project Success, Waterfall Project Management by Richard Evans. Bookmark the permalink.